Our parish follows the Julian (Old) Calendar. Vigil or Vespers is served on Saturday evenings and on the eves of feasts at 6:00pm. 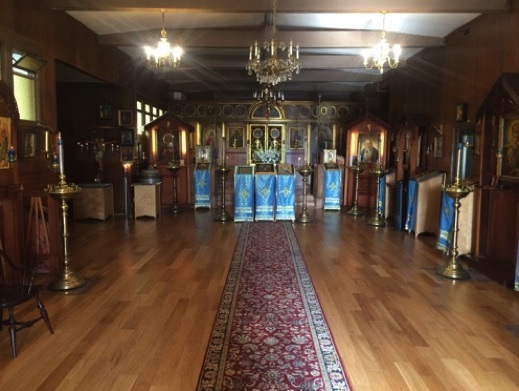 The Divine Liturgy is served on Sundays and Saturday feast days at 10:00am and at 8:00am on weekday feasts. Services are in English and in Church Slavonic. Lunch is served after the Sunday Divine Liturgy in the parish hall. Confessions are heard after Vigil/Vespers and prior to the Divine Liturgy, or by appointment. Other services (baptisms, weddings, funerals, memorial services, etc.) may be arranged with Fr. Edward. PDF downloads of our monthly schedule are available for download below.